Home > Opinions > Miscellaneous > Is Stephen Hawking the smartest man alive? Is Stephen Hawking the smartest man alive? Yes, Stephen Hawking is the smartest man alive. Yes, English physicist Stephen Hawking is the smartest man living today. Despite physical disabilities, Hawking has had remarkable achievements in the fields of relativity and quantum mechanics. A graduate of the University of Oxford, he has also received numerous awards, including the Albert Einstein Award, the Lilienfeld Prize, and the Presidential Medal of Freedom. Stephen Hawking is the smartest man alive. He was so smart he created a machine that makes your mind go to the machine to make it say what you are thinking. So i think that is really cool to do that and maybe even help other people that need to talk when and where they want to do it. That is why i think Stephen Hawking is the smartest man to ever live a life. He is one of the most amazing people who lived. Stephen Hawking was the smartest man in history right next to Albert Einstein. Many people couldn't compare to what he has accomplished and has done. His theories are something no one else could have thunk of, not to mention how many prizes he has been awarded. And to all the people who say he is stupid, and only good at one thing; I'd like to see you try to do something other than insult a man with disabilities, who accomplished more than you ever will. He give us a amazing theories of space, the creation of the universe, and also he give us ideas of the end of earth. He is a great physical theorist, the best of our time if can I say it. Filling points: . . . . . . . . Yes he is the smartest man alive! Some of these arguments are just stupid and ridiculous just look at N***er Loving f*g's rebuttal if you can even call it that. Too many people have re-posted. The fact of the matter is that STEPHEN HAWKING IS THE SMARTEST MAN ALIVE EVER!!! Yes, The most intelligent man in the world is definitely Stephen Hawking. He discovered that black holes have Hawking Radiation and eventually disappear over time, also has an IQ of over 200 and Despite his physical disabilities, Hawking has had remarkable achievements in the fields of quantum mechanics, He is a graduate of the University of Oxford, he has also received numerous awards, including the Albert Einstein Award, the Lilienfeld Prize, and the Presidential Medal of Freedom, which most normal people don't have. The most intelligent man in the world is definitely Stephen Hawking. He discovered that black holes emit "Hawking Radiation" and eventually disappear over time. According to his history, he has an IQ of over 200, and started facing ALS when he was getting a PhD at Oxford. He has had a very troublesome past and has somehow redeemed successful. Stephen Hawking is clearly smart although he has a few disabilities that make him unable to test things himself which is really saddening for us people who can still move but Stephen Hawking is the smartest person i know who is alive still. His story life is incredibly sad and depressing which made me cry. That is why i am saying he is the smartest person living on this planet as we speak! The man has every reason, he has theorized that black holes are a natural time machine, should anyone fly near it it would feel like a year to them but everywhere else the time that would pass is actually five more years everywhere else. So these could be time machines. Just because someone is smart in their field it doesn't mean they can lay claim to being the worlds smartest person, common sense should be enough to know that. The media have him blown up into some sort of genius and the sheeple take pity on him. Saying that, they have him talking total nonsense lately. A man only smart in science. Despite hawkings contributions to science this is his specialization is science nothing else. Smart in math and science, lack smartness in many other things. We shouldn't just take any advice he gives us, instead we should make our own descions. As in the case with politics its not smartness its purely opinion. There is a man with a 230 is. . . . . . . . . . . . . . . . . . . . . . . . . . . . . . . . . . . . . . . . . . .
Stephen may be considered a genius to many, however he does deny the presence of God and clearly, he is wrong because without God this whole world would not exists, and neither would any of the humans, animals, and plants within it along with everything else. I understand that people think he is smart, but it is harder to believe that the world just happened than God created it. Spend your time researching and you will find it to be the only way. No he is not by far the smartest man alive. There is many others in the world that know much more,and they are not famous so people and the media shows everyone that he's in a will chair and knows many things. So they see what there shown they hear what is heard and know what is known by the media, it dosent make him smarter like I can argue that what makes the universe connecting all things alive or dead many don't have a answer and some that do will have the wrong answer for what makes everything has a end and a being and time a simple thing makes everything without time there is nothing and there is many other things I can say and that dosent make me smarter any one can say what they want but fame and the media makes things more than they are . 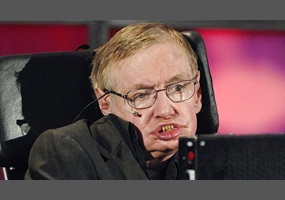 Hawking is not the smartest he only has an IQ of 160 which a 3 year old girl, Bill Gates and many others have. Knowing stuff about the future doesn't make you the smartest man alive. Knowing stuff about psychics doesn't either. Being on TV and everyone knowing your name may get you on the 'HALL OF FAME' but doesn't make you a know it all literally. So no, hawking doesn't win this time. Should schools give homework to students? Xi Jinping rejects anti-globalization ideas: will Trump continue to attack economic globalization? Should parents have a say on who you should date? Should the ban on exploiting the resources of the Antarctic be uplifted? Since being a member of Debate.Org, have your political, social, economic and/or religious views changed? If so, how?